As part of an ongoing relationship with Brookes Union, working creatively within their brand across a large number of print and digital assets, I have been involved with the design of many items given to freshers as they begin their time at Oxford Brookes University. This piece is a six-page fold-out A4 guide to the services offered to freshers by Brookes Union, to help them settle in and feel comfortable, and has been designed to display what's on offer in a succinct and fun way. 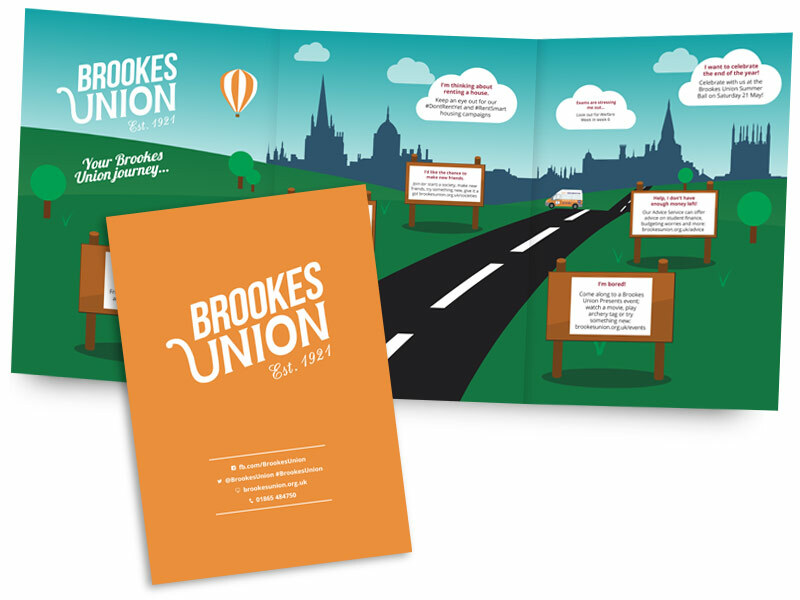 The central spread includes an illustration of the 'journey' offered by Brookes Union, detailing events and options available along the way.